WEDNESDAY, Aug. 16, 2017 (HealthDay News) -- Painkiller prescriptions that lead to prolonged opioid use tend to be written by doctors in outpatient settings, not hospitals, new research indicates. Initial use of opioids such as OxyContin (oxycodone) and Vicodin (hydrocodone) is most often tied to spine and orthopedic disorders, but not surgery, said researcher and orthopedic surgeon Dr. Andrew Schoenfeld of Brigham and Women's Hospital in Boston. Moreover, addictive painkiller use is often not the recommended course of treatment for these conditions, he added. "In light of the opioid crisis, we thought it was important to investigate the extent to which spine surgical interventions were responsible for initiating a process that culminates in sustained opioid drug use," Schoenfeld said. The findings -- based on more than 100,000 insured Americans -- go against the commonly held notion that chronic opioid use most often begins after hospitalization for a serious injury or a surgical procedure. Schoenfeld's team reviewed all medical diagnoses associated with opioid prescriptions among Americans with TRICARE insurance. TRICARE is provided by the U.S. Department of Defense. It covers about 9 million Americans. Of these, roughly 117,000 had begun sustained use of opioids. But less than 1 percent initiated their use after inpatient hospitalization or an inpatient hospital procedure, according to the study. On the contrary, "ill-defined conditions" diagnosed outside a hospital setting accounted for nearly one-third of all sustained opioid usage, the investigators found. "As we look for constructive ways to respond to this crisis, it does not appear that spine surgery is a major driver of sustained postoperative use among those patients who are not using these types of medications in the period leading up to the surgical procedure," Schoenfeld said. The study findings were published Aug. 16 in JAMA Surgery. 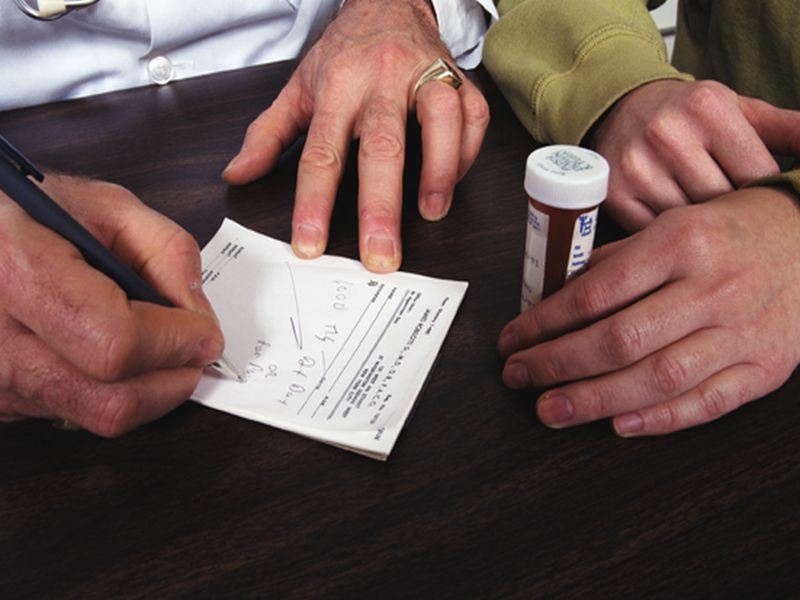 "Improved adherence to best practices in opioid prescribing and requirements for better documentation of the rationale for such prescriptions may reduce the risk of sustained use," the study team said in a journal news release.